A student group has launched a new website to portray their interests and concerns in the Ogoni struggle for justice. 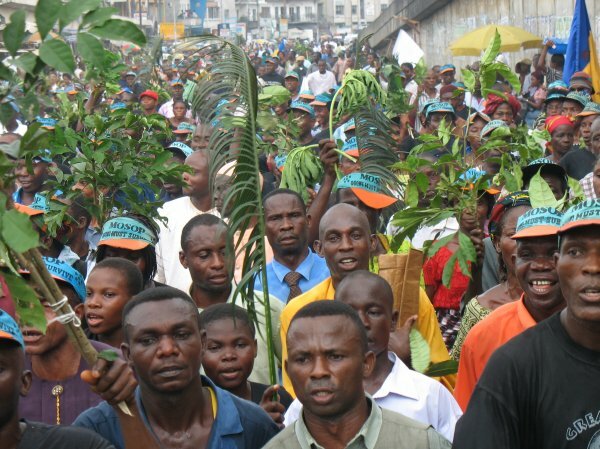 The group, known as the HUMAN RIGHTS ACTIVISTS CLUB (HURAC), is a student-led group formed in 2008 by the Movement for the Survival of the Ogoni People during a summit call by MOSOP. It was during this summit that MOSOP, under the leadership of the former MOSOP president, Dr. Ledum Mitee, charged the students of the schools that attended the summit to form a human rights club in each of their respective schools. Following this mandate, students of RIVPOLYCSS started the club in their school and it was officially launched on the 16 January 2009 by Mr. Legborsi Saro-Pyabgara, the MOSOP’s International Advocacy Officer and other MOSOP delegates. Ever since then, the club has been established in most of the secondary schools in Bori. The club executive aims to expand the club to other schools within and outside Ogoni. The club aims to educate the youth on their fundamental human rights and how to defend them when the need arises. The International Representative of the club, Mr. Kate Wisdom Deebeke, who has been in charge of the new website project, expresses his heartfelt gratitude that the club has been able to meet up its plan to create a new site where all information about the club and the Ogoni people could be found. He added that he is thankful to the club’s Facebook friends and registered members who have been there to give their support, with their useful suggestions during an online survey. He urges all Ogonis, Niger Deltans, and Nigerians to embrace the club, become a member and visit the new website to see for themselves the new look of the site.